I have to say I am happy with the performance of my RX480 but disappointed with the drivers Unfortunately new drivers dont seem to be improving things. I switched back to AMD after being with NVIDIA for several years because they are getting way too expensive. No hardware or performance complaints with the switch, just driver issues. I can confirm this is now completely fixed for me with the 17.9.1 drivers running a Vega 64 card. Videos on YouTube are still somewhat laggy when going from full screen to non-full screen, but at least it isn't taking control away from me with a locking up mouse/screen. Hi there, sorry for the late response, no I don't use Corsair Link, I use Corsair M65 Gaming Mouse Configuration, which caused it for me. I also had the same problem with AMD 17.7.2 on my RX480. Just switched to red for the first time. Also like the hardware and the Radeon settings app, but 17.7.2 is very disappointing. I'm also getting micro-freezing, even outside of games, and some games go to a black screen almost immediately. Back on 17.7.1 and things are working fine. Hope they get a fix out soon. Forgot to add, I'm using an RX570. I had this problem when I first booted up my PC today, but it seems to have disappeared after ~15 minutes. Try this (attached) and change the registry key value to 0 to use the bios ahci driver permanently - no more issues here with mouse lag even on my AMD box. I have a R9 M290X 4GB variant. (Laptop)I get late response, micro-lag upon boot and wattman problem in Crimson 17.7.2 so i reverted back to 17.7.1. I like to start off by saying that wattman is not available for mobile graphics and only Overdrive is ONLY available instead of wattman why? Sometimes I get this error just how it appears "Render device not found!" 17.7.2 plagues my fellow AMD enthusiasts and hope a fix comes out soon! Although I will admit I see a huge increase in performance boost and less heat production in 17.7.2 if only it was stable! I also got the same problem but everything else was fine and I hope the problem will be fixed soon. I have the cursor lag issue as well, never used Corsair Link before. The mouse will just freeze up every few seconds and the only way for me to fix the issue is to revert to a driver before 17.7.2. Same problem on my RX 480, i don't have a corsair mouse but a watercooling with corsair link and when i turn it off, the lags disappears. I have this too. No Corsair. This surfaced specially after I updated to the new Rx 580 and installed the latest driver. I now have installed an old driver 17.5.2, waiting for a proper fix asap! The problem is somehow related to hardware monitoring processes. If I open hwinfo, hwmonitor, cpu-z or nzxt cam, I always get the same microstutter and mouselag. I suppose that's also the case with corsair link and other applications causing the stutters. Close the application and it's gone. This was definitely introduced with 17.7.2! Hoping for a fix soon because I really need nzxt cam for fan control etc. You are saying any type of program that pulls hardware info will cause the problem and by closing it must fix it because this have happened in more than one update from AMD and i was thinking why this keeps happening, but i don't recall installing any type of program. I think this is true as well. I reinstalled 17.7.2 to try and test whether it was hardware monitoring software causing the issue and turns out it is. CPU-Z, HWmonitor, HWinfo64 all cause the mouse stuttering, but if I close those apps then it goes away. The info tends to update 1 or 2 times every few seconds so maybe that explains why I was getting the lag every few seconds. Even the graph in Wattman is causing the cursor lag! But if I close the window it goes away. So there's an incentive right there to fix this issue. Surprisingly I don't seem to be getting the cursor lag with GPU-Z. Ok i was wondering something since Logitech Gaming Software have something called Arx Control and that pulls live HW info will it cause that lag since i have it enabled ? I'm not really sure. I think you would notice the lag right away if you have it enabled since the cursor lag that I was experiencing would cause the mouse to freeze every few seconds. I'm actually having trouble reproducing the the bug after changing some settings in Wattman and restarting my computer, but think if I were to reinstall the driver again the cursor would start freezing again. As finalpaladinz said I don't think it has anything to do with the Logitech software. I'm going to say it's a problem with the AMD driver. As I said in my in my newest post. I uninstalled 17.7.2 with DDU and reinstalled 17.4.2 and everything is running fine again. All we can do is give AMD Support as much information as possible to help them fix this problem. Not sure if this will help anyone else, but I had mouse lag with an RX480 after updating to 17.7.2. I have an Acer freesync capable main monitor and a 1080p TV attached to the card. Going into W10 display properties and telling it to show only on one display or another fixed the lag. Both display adapters had already been set to the same 1920x1080 60Hz and that did not fix it, updating mouse keyboard drivers did not fix it, only the disabling one of the two monitors did. There are massive issues with Windows 10 Creators update and AMD Drivers at the moment with multimonitor setups and ESPECIALLY when GPU scaling is involved. I've been plagued by a similar issue since I've updated Windows 10 with Creators update. I'll roll it Windows 10 back to before the update, since downgrading the AMD drivers has not worked for me, and I've tried several releases. Getting this problem as well. I didn't have it until I upgraded to the new driver (17.7.2). I have uninstalled the Radeon 17.7.2 driver, then followed the directions on the AMD error 1603 page. Used both the AMD Clean Uninstaller and the DDU software. Restarted the computer and the screen lag/mouse stutter went away. Reinstalled the AMD Radeon 17.7.2 driver and the problem returned. I use the Sapphire RX 480 Nitro+ 8 GB O.C. and the Logitech G502 mouse. Update: After more mouse stuttering, slowdowns reading from HDD and computer lockups I used DDU to completely remove 17.7.2 from my system and reinstalled 17.4.2 and the system is running fine again. If anyone at AMD could tell me what to look for in the event logs I can look or send them to you. After my last update the problem came back. As others have said they tried, I shut down Corsair Link and the problem went away. I am using AI Suite II to control my pump and fans now. No mouse stuttering or system slowdown. Was already raised - make sure you report it through the actual program so AMD can follow the issue. Somebody responded that they were looking into the issue. shigh! this update totally ruined my hp-15 g002ax laptop . it was working fine with 17.7.1 then a message popped up saying that new update is available and i just tap on it. after updating it started giving me video TDR error (atikmpag.sys) and restart. i re installed windows and let windows choose drivers for it. still sometimes get this error. Yeah same here. Also downgraded back to 1.7.7.1 today. 1.7.7.2 gave me some weird mouse issues (mouse would randomly stop for a couple milliseconds.) Works fine with the older driver. No. Still here. Lagging (DDU-clean install)...actually there is no mention of this issue in the release notes at all. Disappointed to say the least. The only thing that mentions anything about mouse stuttering is this under the "known issues" section the release notes. "Radeon WattMan may not reach applied overclock states on Radeon RX Vega series graphics products or may cause mouse stuttering when left running in the background." WattMan will cause stuttering when I have in open not just with RX Vega, but with my RX 480 as well. But I face stutters and I don't even open Wattman...ever. Any kind of monitoring will trigger it for sure, and sometimes just randomly, especially on browsers. You know what, I think AMD is fully aware of the issue now after reading the 17.8.2 notes. 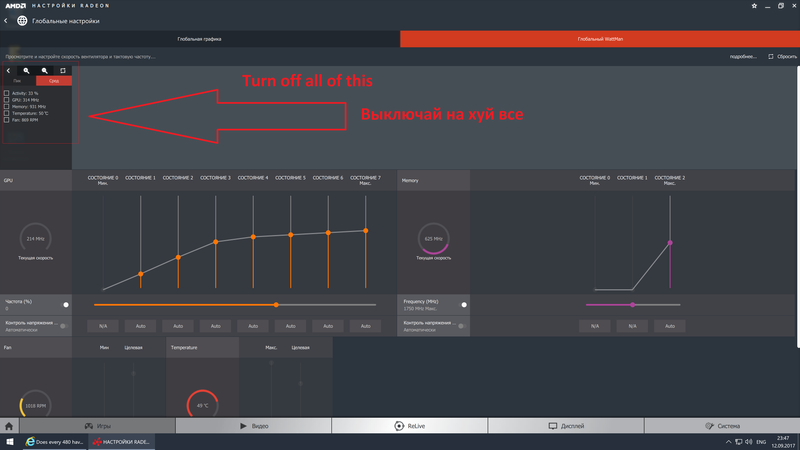 "Mouse stuttering may be observed on some Radeon RX graphics products when Radeon WattMan is open and running in the background or other third party GPU information polling apps are running in the background. " At least we know that they know what is going on with this whole mouse issue so that's a positive. Having the same issues here with my new Radeon Vega 64. Was using a GTX 970 before this for a few weeks after building my new Ryzen system and never experienced the issue, so it's almost certainly the new GPU. Seems to happen almost exclusively for me when using a web browser. At first it seemed to only happen after the system had been awakened from a sleep state, but now it's happening even on clean reboots. Definitely severe when scrolling through Facebook or an image intensive page, or frequently when I try to load a video on YouTube or elsewhere. The mouse cursor and screen locks up for up to a few seconds. I am having these exact same problem and it all started when I installed my new Radeon RX Vega 64. Scrolling through webpages on a web browser and attempting to play videos on most sites cause my system to hitch up and stutter really bad with my screen and mouse cursor locking up. Turns out that you can get rid of the stutter by simply disabling hardware acceleration. It's completely gone in Chrome and now Edge after I disabled it. Of course, you lose out on hardware acceleration of any kind, but it's better than encountering stops and stutters all of the time. Hopefully AMD will fix this someday. Sometimes my Pc freezes using opera after these new fangled Crimson drivers. Happened today in fact. Stuttered and froze. Mouse then pc! What is going on? EDIT: Removed my rage. The problem is just drivers since ReLive. I tried my Rx470 with 16.11.5 (Nitro+, not supported due to DualBios/custom PCB by Sapphire, yet 5xx are supported... grr) The problem gets ironed out by DDU and reinstall but eventually comes back. I have a VEGA 56 and did not buy a 1080, and i found the problem happens less on Fall Creators Update, though still when booting the mouse 'stops' for a bit and then goes to normal. I like to play with old win7 for higher opengl performance in those niche games that run OpenGL. For some reason OpenGL always tops out at 60-80fps while win7 can easily hit 110+fps. On the same vega 56 and radeon driver. Do note i do not overclock my vega, i just set the fan to trigger itself a little later, and it is not overheating; the problem is the monitoring/polling issue, still not entirely fixed. So AMD, please fix, your card is great, and i am sorry for my rage again, it was a little immature - just really hate software problems that i can't really fix myself. It's the drivers, not the cards themselves. And I'll be honest, it's mostly after the launch of Microsoft's Creator's Update that things went down the drain. My screen & mouse freezes since my Vega 64 runs on the 17.8.x drivers. Disabling hardware acceleration in my browser fixed it tough, but not a solution I would like to have. I am having mouse freeze on my laptop with A8-7410 and R5 graphics (but strangely not on my laptop with A12-9700P and R7 graphics). I am not, to the best of my knowledge using any third party app such as those mentioned in this thread that could be causing it. I only do basic gaming on these laptops but I do want to be able to use the display colour controls that have been moved back into radeon settings. The mouse lag is just too annoying though. I have been experiencing mouse stuttering. This issue has been extremely frustrating. I run DDU or the AMD driver clean utility each time I update graphic drivers. All driver versions starting with 17.7.2 have caused the mouse stuttering. It can be prevented by going into Task Manager and killing AMD threads. Of course you then lose any benefit of this program. There does not seem to be a way to prevent the Radeon settings app from starting with Windows, which in itself is somewhat disappointing. I have reverted to 17.7.1 and the stutter is gone. I will await resolution from AMD before allowing future driver updates, thus foregoing any possible performance improvements via that route. Is this just a minor quibble? NO! It happens ALL THE TIME each and every time I move the mouse no matter what I am doing on the PC. I spend hours each day on my PC and it DESTROYS the experience. Please AMD, address this issue. I am disappointing in the response to this and carelessness of releasing very buggy drivers. I am also disappointed with the performance using FreeSync with my RX480 and various drivers and monitor firmware. Just upgraded from 17.7.2 to the 17.9.1 driver and the mouse stuttering issue is now fixed for me. Under Fixed Issues: "Mouse stuttering may be observed on some Radeon RX graphics products when Radeon WattMan is open and running in the background or other third party GPU information polling apps are running in the background." I also have installed 17.9.1 drivers and the mouse stuttering is gone on my RX480. Now to re-install my 2nd 480 and start trying to optimize Crossfire for my machine. Great news that 17.9.1 fixes the mouse freeze problem. is there a tutorial somewhere on how to install non whql crimson drivers on Windows 10? I have tried disabling driver enforcement in startup as well as entering test mode. Maybe 17.9.1 is not compatible with mobile APUs? Lies, does not fix any problem, still persists !!!! 17.9.1 Fixed the issue for me too, it took longer than hoped but at least they finally got the issue resolved. Not sure why it still affects some people but hopefully they will resolve completely on next release! For God, until when the developers of AMD, will still be unable to fix the problem of the mouse. This is a lack of respect!!!! I invest my money to buy a RX 480 OC Sapphire +, and I feel stolen by AMD, they should return the money to all owners of the RX series. I apologize for the lack of respect, but they are FOOLERS !!!. They have already spent more than 5 months with the same problem, and they have not given a solution, they have not even bothered to apologize to users, or at least tell us to be patient !!! Oh my God!!! that someone from AMD's face !!!!! I paid what your graphics card costs !!!! You do not give it away !!!! I understand you are upset about this issue but can I please ask if you have uninstalled your existing driver and installed AMD Crimson ReLive 17.9.1 yet? 1. Do you have any other third party overclocking tools like MSI Afterburner or Sapphire Trixx installed as well as AMD Drivers? If you do, please uninstall them. 2. Are you running any Corsair Link or other Monitoring software? I am not suggesting you uninstall those, just for information. 3. Please do a clean boot of your machine. Log in to Windows 10. Then immediately go to ALL Settings -> System -> Display. on the RHS of the Windows 10 Settings menu you shoulds see Resolution Tab. Please change the resolution setting from say 1080p down to say 1680x1050, it doesnt matter exactly, then select Keep Changes. Then reselect the previous resolution, in this example 1080p, and select Keep Changes. Does this improve mouse lag / system responsive ness for you? 4. Can you please tell me what the Task Manager Performance Tab is reporting when you boot your machine up? What % CPU use are you seeing. 5. Please go into All Settings -> Privacy, and turn everything off. What CPU% do you see now. Does that help your mouse response? 6. Please check if you are running and Razer applications such as Cortex or especially Synapse. Make sure you kill those processes. 1 - Yes, I use the MSI Afterburner, version 4.4.0 Beta 15. Now if I delete it, with which application I measure the fraps of the games or worse how do I correctly control the fans of the video card to avoid overheating ?? 3- No, I can tell you with certainty, if that improves my delay, since the delay appears suddenly and persists until I restart the computer, and then appears suddenly, sometimes restart the machine at the times I have delayed, other times to the days. I never turn off the computer nor suspend it. 4- I have an i7 7700K, and at all times the CPU is due to 5% of use. 6- I do not use any such application. I can see that earlier you stated you are running RX480 card, is that correct? Could you please give the following details of your System? This is normally the "Information required when posting a question"
You might want to open a seaprate thread to deal with youe specific case or we can continue to discuss here. If you do decide to open you own separate thread then please point me a link to it. I will continue here for now. "Providing the information below will get you a faster response from the community. If possible, include a screenshot or video link of the issue"
RE: 1 - Yes, I use the MSI Afterburner, version 4.4.0 Beta 15. Now if I delete it, with which application I measure the fraps of the games or worse how do I correctly control the fans of the video card to avoid overheating ?? AMD does not support users running third part overclocking tools. Running MSI afterburner with AMD Drivers has not worked properly for me since early 2017 on my system (i7-4770K/i7-4790K + Dual R9 Nanos. If you leave MSAIO Afterburnewr installed for the moment you will not know if the issue you see with your cards/system is due to the AMD driver alone or the comination of running MSI Afterburner with your card. We can discuss that in detail later but there are many are applications like Fraps, PlayClay, Razer Cortex, Steam FPS monitor, OCAT, Overwolf Apps in game console reporting commands ... to name but a few. I am more than happy to point those out to you later but I think that we need to try to get your system checked over and running better first if that is o.k. RE: or worse how do I correctly control the fans of the video card to avoid overheating ?? If you are concerned about your GPU Fan Speeds and your card overheating, I think you should be o.k. for now to just make sure you do not run any 3D Applications like games, or anything that will load your GPU too heavily whilst we look into the Driver / display issues.system response time issue. Your GPU should be fine unlesss there is already a pre-existing hardware issue with it. I will try to respond to your remaining answers as soon as I can, but I need to take some time away from my PC now. Believe me, what bothers me, is that AMD does not come out to face this problem, AMD needs to apologize to its customers, customer that like me, I am 100% loyal. And what I think is that they are doing the strangers and worrying more about the latest series !!! And I repeat, I pay for my RX 480 !! AMD do not give it to me !!! Excuse me if I'm annoying, but the work of AMD, is to satisfy your customers !!! its an old laptop, but the point is, AMD claim support for this apu on latest drivers, but as after install, i getting mouse and screen lag, which is ridiculously annoying, i am facing this problem since 2016, so rollback to driver 15 (ccc) solves my problem, with is not a solution. extra info, "system" process in taskmgr, i notice 5% to 10% usage hopping up and down constantly every second, so mouse and screen lag every second too, and also my friend having same Laptop model but without r5 gpu and he suffering from this issue as well so i can conform this problem with either cpu or primary gpu. i have my old (very old) unsolved problem thread, with is i can say not same problem as this, but evaluated one. as AMD driver install on any windows version, "system" process start hopping 10% to 20% constantly, why? i been stuck on driver version 15, plz solve this problem. I have found a possible solution to this problem that affects several graphics cards. In my case I own an HP Pavilion laptop with an AMD A6-5200 APU processor with Radeon HD 8400 graphics. What I did was to activate the trace of the pointer in the control panel, with this the mouse stopped having lag and it worked normally. I hope my contribution will also work for someone else. I cant believe it but this actually worked, sadly i now have an annoying trail, but its far less annoying than the video output freezing every 5 seconds. Update: managed to clean install 17.9.1, no longer need the mouse trail to stop the lag. The lag starts as soon i start a video on Netflix or Amazon prime. The weird thing is youtube runs fine. Clean Windows installation changed nothing. ASRock Fatal1ty Z170 Gaming K4. Update: I updated the driver to 17.12.1 to see if the issue stopped, it infact got worse. The pointer trails don't stop the lagging anymore, it also seems that the lagging is now present when using the keyboard. This issue still need a resolution. I would go back to a custom/clean install of 17.9.1, but I could only find the desktop version so now I am stuck with a laptop that annoys me more than Dell power supplies used to. I found the previous drivers, there is a link on the right side of the AMD driver download page. the latest working driver for my machine (A series APU with R5 Graphics) is 17.4.4, which is the latest available on that page before the broken 17.7.2 driver. I also had to hide the windows update for latest graphics driver to stop auto updates. (using the official tool at the bottom of the following webpage. https://support.microsoft.com/en-gb/help/3073930/how-to-temporarily-prevent-a-driver-update-from-reinstalling-in-window ) this is still not perfect as when a new driver is availible I will have to hide that one too if the lag issues are not resolved. It also appears that using 17.4.4 removes the radeon settings program and its additional features. I have some games that force the mouse trails off. If this is not a concern then using the mouse trails on 17.11.1 is an option. Here is the thing I noticed most games in the full-screen force the mouse trails off so these days I play in window mode. I got the exact same problem here. Whenever i launch a game for example CSGO or GTA5 or Minecraft (yes even Minecraft) my pc starts lagging and my mouse is also extremly laggy (by the way when I press F11 in Minecraft, which switches between window and fullscreen mode the same thing happens). All that ever since I changed my Graphics card from gtx 960 to amd radeon rx 580. If anyone has a solution please share it with me. I NEED HELP! From what it seems like I've been experiencing the same issue as yourselves (laggy cursor). Here is a quick fix, i'm sure it will work for everyone here... if it doesn't let me know... i'm interested. Solution. Adjust your monitors frequency to 60Hz or whatever it is intended to be run at by using the Windows setting (NOT your monitors settings). And that's it. You may have to play around with a couple of different frequencies (Hz's) until you find the right one. 5. Select "HIDE MODES THAT THIS MONITOR CANNOT DISPLAY"
FYI. updated to Radeon 18.4.1 today and had bad mouse lag. Mouse would just stop responding just trying to go from one part of screen to other side. Never had any issues before with any Radeon update. Tried 2 different usb mouse, reboot, still no change - every mouse has same non- responsive lag. Have Gigabyte RX560. Browsed the forums and found this post(and couple others). Went into Device manager and rolled back driver 24.20.11001.5003 to previous version and everything working fine now. Current RX560 driver 23.20.15017.3010. Maybe this will help others. I can't help but wonder if there are 2 actual distinct problems here. One is with the use of third party monitoring utilities and the other is an issue with the bobcat/jaguar/puma apus? Apparently there was a fix for the APU problem that somehow got lost along the way. I've been having the mouse freeze up problem with my HP laptop (A8-7410 apu) since 17.7.x drivers (whenever the colour controls were moved into radeon settings) but with adrenaline the lag is extreme and there's no work around. after updating to 18.5.1 I can say it works with mouse trails on. I'm getting a similar lag problem. RX480, Win 10 latest everything. Triple displays, all identical 1080p 60Hz. All three switched on, everything's buttery smooth. As soon as I turn one monitor off, lag happens. Switch that monitor back on, lag goes away. Has been happening for a few months now, so may not be related to the OP's original problem. The only workaround I've found is to not switch secondary monitors off Instead, I've found black images and fullscreened them in Chrome so I don't have glare issues either side of my main monitor. 18.8.1 Drivers updated today, but still the same issue. Feels like I've had this issue since 17.x.x but can't be 100% certain. Definitely with all 18.x.x. 18.9.1 Claims this is fixed, but it isn't for me using an express upgrade. Going to try a custom clean upgrade and see if it helps. baz4096 Well I have no extra displays connected but I do have an HDMI port and it does support wireless display do I have to entirely disable them even if nothing is connected? I had 18.10.1 installed and i had massive mouse and keyboard stutter. Strange thing is that is cleared after 1-2 reboots, came back on the next day whatever i disabled. Now i deactivated every wattmann monitoring i found, deactivated aida64 and installed 18.10.2 and at the moment no stutter. Lets see how long this will help. I have 3x 1920/1080 Monitors, i use Eyefinity on certain games with my brand new 580. I'm having the same problem. Radeon RX580. I went from an older Nivida GTX600 which worked flawlessly [and actually still does on new games set in lower resolution], to the 580, and now most of the new games have an issue. Here is the problem I'm having. I install a newer game [so far the newest game is from 2015], and when everything is finished, and I'm ready to play, I can hit a key, lets say I hold down the key to move forward. There is a pause, and the player move forward only a few steps even though I'm still depressing the forward key [the player should move continuously as long as I'm depressing the key if working correctly]. I have to depress the key again to get the player to move, and again there is a lag, then the player will move, and again its only a few steps. Whenever I hit a key its like the computer has to think about for a second before performing the action. The RX580 should be way more card than is needed for some of these older games, so I'm not understanding the issue. I've tried downloading the newest drivers, going much lower in the game resolution, did a virus/malware scan, and nothing works. Here is the rest of the specs on my computer [like I said it runs fine when I switch back to the old 460GTX Nivida card. I've just tried 18.10.2 and after a single reboot, seems to have resolved itself. Will obviously be keeping an eye on this. 18.10.2 seems not to be compatible with A8-7410 mobile APU. In the release notes it's just for dedicated graphics, not APUs. So, I installed the latest 18.11 driver, and the issue is worse compared to 16.x. This is on Windows 7 64-bit. 16.9.2 is the last driver I tested that actually worked reasonably well, which I guess is no coincidence, as that's around the same driver my 6970 was using, and it was 100% flawless. However with the RX 480, nothing but issues on any other driver version. One thing to note: I don't use any hardware monitoring utilities, at least daily. If I have an issue I'll load up GPU-Z or something, but I don't leave anything running or on autostart. I don't even use wattman nor know how to find it to turn it off. Mouse lag can be attributed to running in software rendering mode. For those that don't know what that means, the mouse can be shown on screen in two ways, hardware, and software. Hardware uses the graphics card drivers to render the mouse cursor, and software means the OS does it with bitmap blitting. Software render is highly dependent on the CPU, so if your CPU is even slightly tasked, you'll notice mouse stuttering (like skipping frames almost). However that in of itself isn't usually an issue, except for being annoying. I determined this to be the case as I use f.lux to darken my screen at night, and I noticed once I installed the RX 480 and installed the updated drivers (even used DDU), the mouse cursor started to be affected by the filter (hardware mouse cursor is unaffected by screen filters/color management). I've had this issue on every single driver version I've used for my RX 480. My 6970 was stuck at 16.2.1 (Beta), so I suspect the hardware mouse broke after that. There is a second issue, which I see regularly, but not every single time, is complete freezes. This is where not only the mouse stops, but keyboard input is lagged, and screen updates stop (game freeze, or videos stop). This happens as a one second freeze every two seconds. It's the worst, and makes the entire system unusable. It happens regardless of what's running, and persists across a reboot. However I don't know what triggers it. For note, I have disabled f.lux when I have this issue, and it doesn't resolve it. This is what causes me to go back to 16.9. Every single version I've tried of 17.x and 18.x has this lag/freeze issue. Currently running 18.11.1, however I'll be downgrading again. I tried a couple versions listed in here before, to no avail, I'll try a couple more. Can confirm same problem. If i start moving mouse whole stream freezes for a second, totally unplayable. Latest driver that don't have that problem is 18.5.1. AMD plz fix this problem, i can't stream latest assassin's creed, coz game poorly optimized on 18.5.1 and on later drivers it's unplayable coz of stream freezes. I've been having the pausing problem for many months, I believe since the Crimson release. Videos, games, mouse and text input would just suddenly pause for no obvious reason. It drove me so crazy, I upgraded from my R390 to a Vega 64 a few days ago to try and resolve it. The upgrade didn't fix a thing. It was especially frustrating because the issue appeared to disappear after a reboot, but then would reappear over time. I finally got a clue tonight... I could reliably reproduce the pausing issue whenever my Windows 10 would switch desktop backgrounds . If I right-clicked on the desktop and selected "Next desktop background", the pause would reoccur within one second. When I looked at my settings, I had the wallpaper automatically switching every minute. In the Process tab of Task Manager, I would see the System process (ntoskrnl.exe) fire up, and the GPU column would say GPU 0 - Copy. The behavior I observed in Task Manager always shows up whenever I see a pause. My immediate solution is setting the desktop background to switch once a day. I'm still seeing the GPU 0 - Copy show up occasionally so there is more to track down, but I have a bit of relief now. Current driver version is 19.1.1. I have a Vega 64 and two monitors, one connected via DisplayPort, the other via HDMI. The DisplayPort monitor has FreeSync enabled and currently set to 144Hz refresh. The HDMI monitor is set to 59Hz refresh rate. Thanks. I just flat out gave up on Win10, and am now using Win7 Pro. Since I don't use my computer for business [just gaming, and internet} I'm happy staying with Win7. In having said that, my problem was solved by accident. After trying every single, known, cure for the lag during games, I took my computer outside to clean it. So, after cleaning the computer I plugged all of my external devices back in the computer. One of them was my external ssd drive. I noticed I kept getting a message "this device can perform faster" on my external ssd. I ignored it as I was still trying to figure out the gaming lag issue that had infected even my old video games . Well, I forgot to change the ssd to another usb port, and went to one of my old games, and found the lag was gone. Next, I tried one of my newer games [GTA5} which required a lot of system resources, and guess what.................the lag was GONE! So apparently, having the external ssd drive plugged into a normal usb port made the issue go away. Seem like it would have been the other way around, but I've tried switching the usb ports, and the lag comes back. Thanks again for giving you solution, as sadly, one day I might be forced to use Win 10. Sent with (https://protonmail.com) Secure Email.